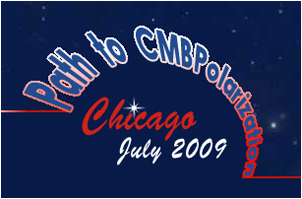 We are holding a workshop on CMB polarization experiment in Chicago on July 1-3. There is currently great scientific excitement surrounding the push to detect gravitational wave induced B-mode polarization of the Cosmic Microwave Background. The purpose of this meeting is to review and discuss the fast moving ground based and sub-orbital experimental program, and to get an update on the evolving plans for a next generation satellite mission. There is currently great scientific excitement surrounding the push to detect gravitational wave induced B-mode polarization of the Cosmic Microwave Background. Such a detection would be "the smoking gun of inflation" and shed light on physics at energy scales far beyond those accessible to terrestrial accelerators. A large number of experiments are currently in the design and construction phase, and are projecting huge steps forward in sensitivity. These experiments utilize a variety of different detectors and techniques. The experimental challenges are enormous - both in terms of the raw sensitivity necessary and the exquisite control of systematic effects required. While acknowledging that the experimental groups are in competition with one another this workshop will seek to promote an open exchange of ideas, and a realistic assessment of the challenges which the community collectively needs to meet. The difficulty of the measurement is such that it is likely that no claim of detection by a single group would be taken seriously alone and cooperation is thus highly desirable. In the longer term a next generation space mission has enormous scientific potential. A NASA mission design study has developed a plan which includes sub-orbital experiments and technology development and culminates in a space mission. The third day of the meeting will review the current mission design. 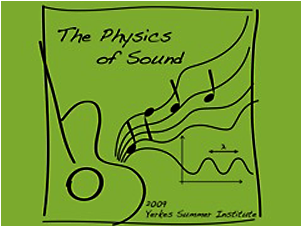 The unifying theme of the 2009 KICP Yerkes Summer Institute was "Sound". During an immersive, week long, science camp the Space Explorers, inner-city Chicago Public School students, investigated many aspects of sound. Day long laboratory activities included: constructing and analyzing musical instruments, measuring the speed of sound and examining the wave nature of sound. Evening experiments included viewing the night sky with the observatory telescopes, an investigation into the directionality of hearing including how certain animals excel at it, and the oral tradition of creating stories about constellations. YSI, as always, is an exceptional experience due to the instructors, who taught at Yerkes and worked together months in advance to plan and develop the institute. The instructional staff in residence included eight (8) graduate students, three (3) post docs and five (5) senior people. Instructors: Alissa Bans, Matt Bayliss, Brad Benson, Kyle Cudworth, Nick Halmagyi, Vivian Hoette, Chris Kelso, Yeunjin Kim, Rich Kron, Zosia Krusberg, Randy Landsberg, Sam Leitner, Reid Sherman, Jennifer Sobeck, Kyle Story, Phil Wisecup. 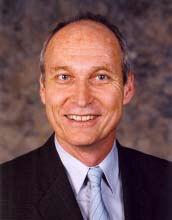 Don't miss this "Once in Mike's Lifetime" event! The three day, residential, 2009 KICP Yerkes Winter Institute was about exploring. 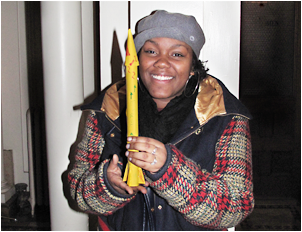 Building on conversations earlier in the year with UC alumnus and NASA astronaut, John Grunsfeld, the "Rocket Lab" involved basic concepts of rocket science with the students designing constructing, testing, and improving their own compressed air paper rockets. In "Orientations of the Solar System" they explored how the motions and positions of the Earth-Moon-Sun system lead to the seasons, sunsets, eclipses, moon phases, and more. Finally in "Modeling the Solar System" the Space Explorers constructed two different scale models to understand the relative distances and sizes of the planets. Evening activities investigated planets beyond our solar system, exoplanets. The 24-inch telescope was used for a transit technique experiment and a computer based orbital motion simulator was employed to demonstrate how astrometry is used to detect a planet orbiting a distant star. Instructors: Alissa Bans, Nicole Fields, Walter Glogowski, Chris Kelso, Randy Landsberg, Kyle Story.